Life On Willie Mae Lane: Birthday Contest Winner! As promised, I'm here today to announce the winner of my little Birthday contest. Now, students, please don't scroll down...yet! Patience please...lol! Thanks to those of you who played along. It was fun reading your answers and I was quite surprised at how well some of you know me. 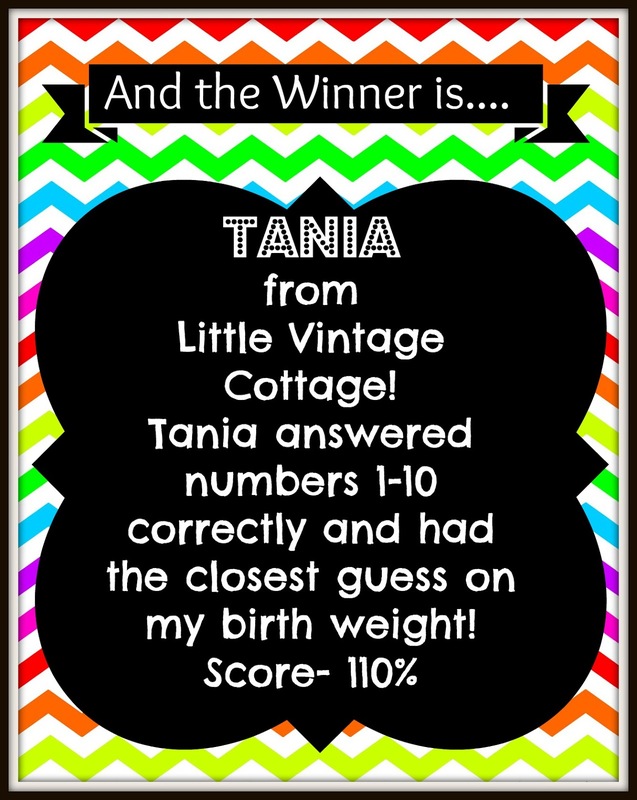 You may remember me saying that question number 11 (my birth weight and the only answer that couldn't be found on my blog) would be the tie breaker. Good thing I decided to do that since I had two people make 100% on the quiz. 10. What year was I born? In the words of Bryan Adams...the Summer of 69! 11. How much did I weigh when I was born? 8 lbs. 7 oz. Now, I won't post all the grades on here...lol! 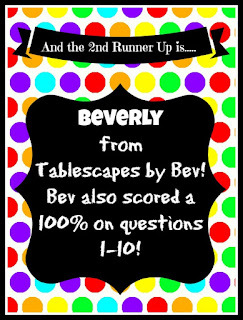 But, for the most part, everyone passed the quiz! And for those of you who didn't...it was just for fun, right? I'm just happy you were good natured and played along. 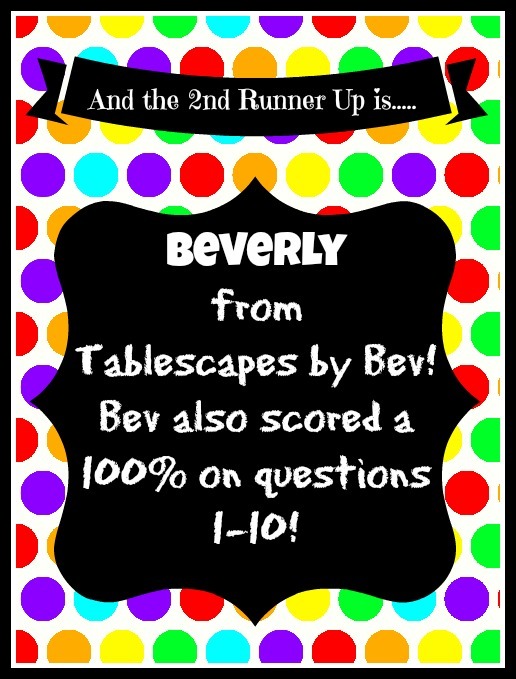 And since I had two who scored 100% on numbers 1-10, I have decided to reward the second place winner as well with a $15 Amazon card. Congratulations Tania and Bev! Thanks for playing! I'll be e-mailing you ladies soon with your Amazon e-gift cards! Thanks again to everyone who played along and thank you for all the birthday wishes! I hope you all have a lovely weekend. Today is my son's 20th birthday and I will be celebrating with him tomorrow. Today I am going to watch my niece, Shelby try on wedding gowns for the first time. She is getting married next March and I am so excited to be a part of this special day. I'll be picking Mama and my sister, Nancy (Shelby's mom) up early and heading to Gainesville to meet her at the wedding store! We'll be visiting two stores and having lunch in between. It should be a lovely day! Hope yours is as well. Awesome! Thanks so much. It was fun playing along. Oh, my heartiest congratulations to Tania and Bev! Enjoy, ladies! 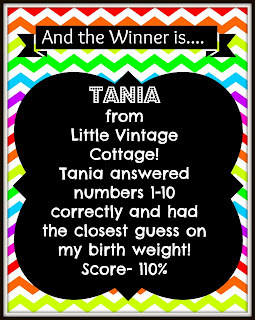 Vicky, you were such a dear to host a lovely giveaway like this, and I loved playing along! This was fun Vicky!! I did pretty well, just missed a few. Congrats to the winners!! Wedding gown shopping is so fun and emotional! Congrats to the winners of your giveaway! Hope you are having a nice weekend! Congratulations to Tania and Beverly! What a fun way to do a giveaway, my friend :) Enjoy your Sunday...and Happy Birthday to your son. Hugs to you! Congrats to Tania and Bev! That was fun to do even if I didn't know all the answers. I smack my head a couple of times - I should have known those answers. Lol. Don't think I ever knew your husband's name though. Happy birthday to your son. Enjoy your time together!